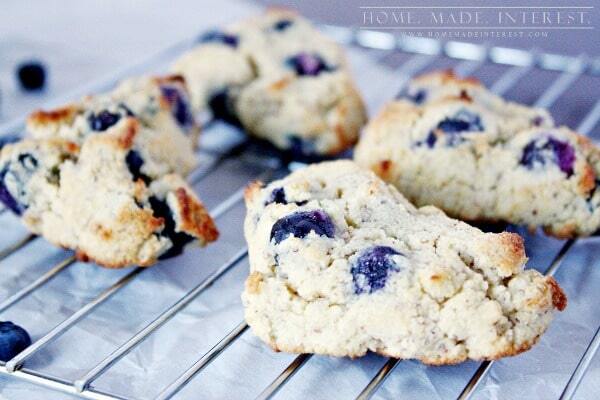 Low Carb Blueberry Scones - Home. Made. Interest. This post was sponsored by Bigelow Tea. All opinions are 100% our own. 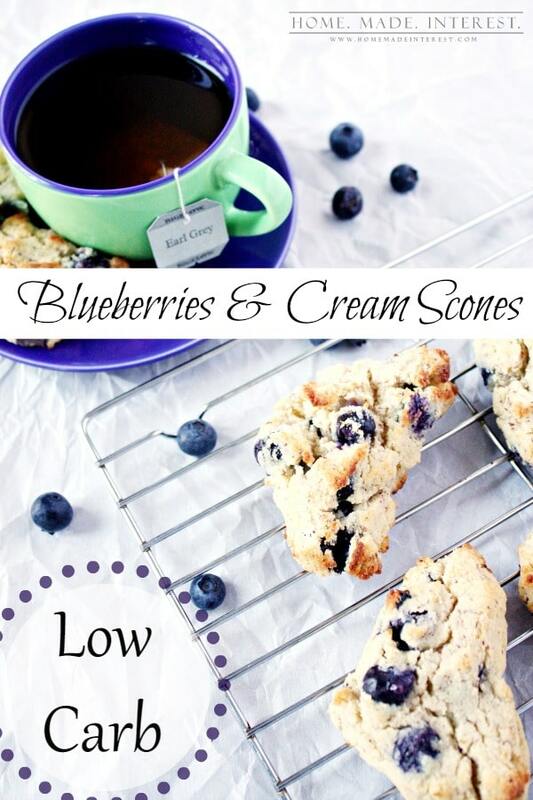 Low Carb Blueberry Scones are a great low carb baking recipe is the perfect low carb snack to have with a hot cup of tea. Last year Melinda and I started eating low carb. It was a big change but we both love it! One of the things I miss most when I’m eating low carb are sweet treats, especially ones that involve bread. When I’m not eating low carb I love scones, especially on the weekends. They are the perfect breakfast! So, Melinda and I set out to make a low carb scone that would satisfy my craving. 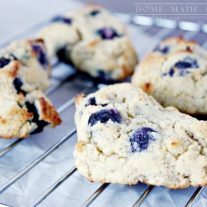 This recipe for Low Carb Blueberry Scones was the results and it is sooo good! This may be one of the best low carb baking recipes we have come up with! Almond flour and/or coconut flour and a good sugar substitute are the keys to baking low carb. We use Truvia because it is natural and tastes great. We track all of the net carbs we eat each day. Net carbs are Carbs minus Fiber and Sugar Alcohols (such as Erythritol in Truvia). If you’re looking for more information about net carbs I recommend this article “Total Carbs or Net Carbs: What Really Counts?“. For this recipe we used a mix of almond flour and coconut flour mixed with heavy cream, and fresh blueberries (a low carb fruit! ), butter, eggs, baking powder, Truvia, vanilla extract and salt. We lined a baking sheet with parchment paper and spooned the scone mixture onto it, using our fingers to shape it into a rough triangle. Then we baked them for 12 minutes at 350°F. They came out of the oven light and fluffy with just a bit of sweetness from the Truvia and the blueberries. They are a bit delicate when they first come out of the oven so make sure you give them 5-10 minutes to cool before eating them…or if you’re like me and have no patience for cooling time dig in! They are delicious even when they crumble :). Each scone is 5 net carbs. Note: Net carbs = Carbohydrates – Fiber and Sugar Alcohols. We have already subtracted the Erythritol in the Truvia in the nutritional information below. 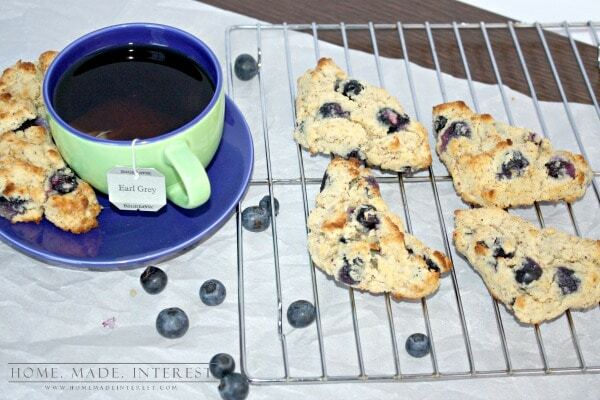 Low carb blueberry scones are a great low carb breakfast recipe to enjoy with a cup of tea! In a large bowl combine, all dry ingredients. Add butter, heavy cream, eggs and vanilla extract and mix until well combined. Using your hand, shape about 2 tablespoons of dough into a triangular shape. 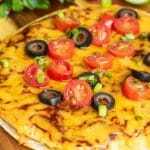 Place on cookie sheet and bake for 12-18 minutes or until outer edges are golden. 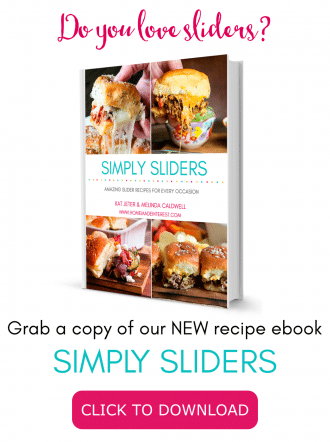 Have you tried out any low carb baking recipes that help you fight the carb cravings? Share them with us in the comments! Hi Ruth, sorry I do not know the calorie count. I used the same. Maybe cook them a little longer? They were soft when I pulled them out of the oven, but firmed up a bit when cooled. 1/2 cup of almond flour and 1/2 cup of coconut flour = soup??? Can we check the quantities in the recipe perhaps? Hi Veronica, I’m sorry you had trouble with the recipe but the measurements are correct. You can try adding another half cup of almond flour if you like. Yeah… these were WAY TOO liquidy and not at all baked goods. I should have read the comments better to see how others are failing with these quantities. Disappointed. Followed the recipe exactly and they were really wet which when cooked were flat. There was nothing posted that gave you an option if this happened. Not sure I would try again. A lot of expensive ingredients. I’m sorry the recipe did not turn out for you. I don’t know what could be the problem. Same here. My thoughts are that the blueberries should be added at the end, not after the dry ingredients. The mixing involved after adding the eggs, cream and vanilla mash the berries, thus making these wet. The flavor was good, but again, they were way too wet and soft to be a scone. Next time, I will double the almond and coconut flour, and add the blueberries LAST. i couldn’t find coconut flour at the store, what do you suggest would make a great substitue? You can use all almond flour instead. Almond and coconut flour are not interchangeable. They are not equivalent. Coconut flour is extraordinarily absorbent and very little coconut flour is needed to successfully produce a recipe. In baked goods, you generally want to substitute 1/4 cup to 1/3 cup coconut flour for 1 cup grain-based flour. You will also need to increase the number of eggs. I made these without blueberries cuz I’m a plain vanilla kinda gal, and they were hard to shape and turned out cakey and soft. I’m wondering if my butter was too soft? I still like them and will try again, maybe chilling the dough before shaping and adding xantham gum. Thanks for the recipe! I made them and they cooked flat and ran into each other. I was careful to follow the recipe. Tried to shape them back into shape but then started falling apart. Waiting for them to cool to see if they at least taste good. I see some of hers had the same problem maybe someone can figure it out. I made these for breakfast this morning. They took about 22 minutes in my oven to be nicely browned and done, and I omitted the Truvia because I dislike the taste of most sweetners. They were delicious with a square of Kerry Gold on top! I let them cool partially and ate mine with a fork. They definitely crumble less the cooler they are. I’ll be making these again ???? These look amazing!! I am making these fora diabetic so wondering how you got the calorie/carb numbers? I just want to make sure they’d be a safe thing so the carb count won’t go completely out of whack! Thanks so much for your time! Hi Beth, we calculate the carbs by using the MyFitnessPal.com database. The net carb amount is the carbs minus the fiber. They’re delicious, but they spread and the texture is that of a soft fluffy cake — I can’t pick up a whole one. What do you think would happen if i left out the eggs? Sheila, not sure why they spread. We recently remade them and they did not spread for us. We’re in the process of editing the video that shows step by step instructions, so check back. If they are breaking apart, try baking them a bit longer and letting them cool completely. Make sure the butter is soft, not melted. That will make a difference. These are truly yummy! I added the berries last after dusting with the almond flour. Perfect not crumbly at all. My issue is with carb count I’ve checked all my sources and I Come up with 4 net with 1/2 berries and 5 with whole cup berries. This recipe is going to be used A lot! Thanks! Thanks Christine! We just remade these the other day and I am going to be updating the nutrition information. I’m so glad you liked them! Can you substitute swerve or stevia for truvia? Yes, whatever low carb sugar substitute you prefer is fine. Try cooking them a few minutes longer, that should help. I had a little issue with adding the blueberries before adding the butter but it worked out, also rather than shape each one individually, I flattened the dough on cutting board into a circle and cut them like I would a regular scone, it worked out fine and got 8 lovely, large scones out of it. I also topped them with a few chopped pecans, well, because I could! We found letting them cool completely made them break apart less easily. I’m glad you enjoyed the flavor! I was so happy to see this recipe, but after making it I agree with other poster(s) about the scones not holding their shape. I double-checked to make sure my measurements were correct, but the dough was very, VERY wet, like there wasn’t enough dry ingredients for the recipe. Sure enough, I put them in the oven and they turned into one large blob. Very upset, as these ingredients are not cheap. Hi Kim, I’m so sorry you had trouble with this recipe. We recently did a video for this recipe and remade it just to make sure something wasn’t written incorrectly. We didn’t have an issue with the dough being wet. I just can’t imagine what would make that happen for some people and not others. I wish I had the answer. Hi Kat, Thanks for this wonderful recipe. We have included this in our recent roundup of the Top 50 Low carb desserts. Making them 2nd time! Fist time I didn’t have blueberries, so I made them with raspberries. I used monk fruit sweetener instead of the one suggested for this recipe. They were kinda flat, but tasted very good especially in the 2 nd day! Doing low carb thing and this would be a nice treat once in a while! Thanks, I just made them, they’re in the toaster over now as I type; I live in an RV, so I don’t fire up the “big” oven unless I’m doing lots of cooking. I didn’t have any probs with the dough being to wet, mine was I was so anxious to try them I didn’t get all the butter mixed as well as I should have, but I’ll try again later in the week. But the dough I licked off my fingers was GREAT ! ! I’m wondering if the people who found the dough too wet maybe put in ONE cup of whipping cream ? ! ? ! Until I double checked the recipe I thought I remembered it was ONE cup. The downside, is if I make something I really like, low carb, cheesecake, real eggnog, cookies, fudge, donuts, I have a very hard time stopping at ONE, even though I’ve been on a low carb diet almost THREE years ! I know how you feel about the portion control. If something tastes good I want more! I hope you like them as much as we did! 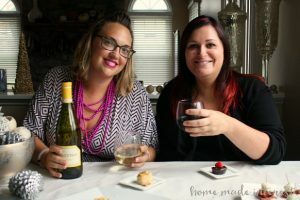 My husband and I made these tonight and they were delish! We had no problems with the consistency of the mix as others had. They did need to be baked much longer, about 28 minutes total, but turned out perfect! We’ll definitely make them again. Thanks for the recipe! I’ve just made these and they’re delicious. I’m going out to dinner tonight but couldn’t resist trying a corner, and the corner wasn’t enough, I had to eat the whole scone! 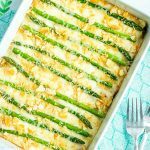 I am new to this low carb game, so I am seeking advice. My son is allergic to almonds, cashews, and coconuts. Other thoughts on what to use for flour? I love scones and this seems like an easy recipe; plus my kids love blueberries! Bob’s Red Mill makes a Hazelnut Flour/Meal. I’ve never tried it with anything but almond meal and coconut flour but it is worth a try if your son is not allergic. I made this recipe today and I had the same results as everyone else, they were flat as a pancake. The flavor was there just too much butter. 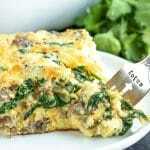 I think I will give it another try using 2 tablespoons butter instead of 1/2 a cup. 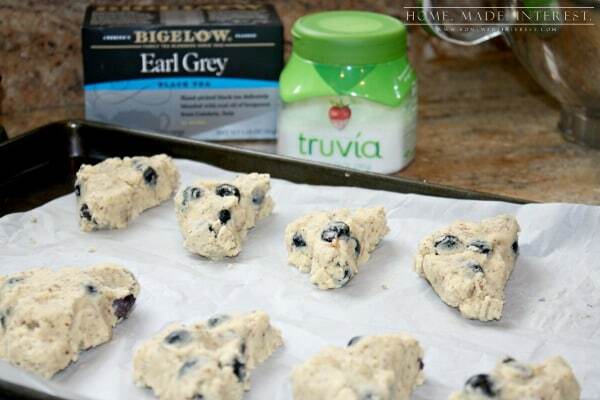 Carleen, I just loaded our step-by-step video of making the low carb blueberry scones. Hoping this helps in finding out what went wrong with yours. I just made these this morning. I followed the recipe exactly. I had no problem with them not holding their shape.. But I wonder if those who are having this problem are familiar with coconut flour? It behaves a little differently from other flours and absorbs a LOT of liquid. Immediately after mixing, my dough was very wet, but I allowed it to rest about 5 minutes, and then the texture was PERFECT! I also agree that they definitely need to cool on the baking sheet before moving them, or they would fall apart. Also, I definitely liked the truvia! It’s my first time trying this particular sweetener, and I think the blend of erythritol and stevia gives a great sugar-like taste! Question for you… Your nutrition information is based on how many servings in the batch? One more observation, I did not like these stored in an airtight container, as it changed the texture to be way too moist, in my opinion. I stored loosely covered and they were perfect! 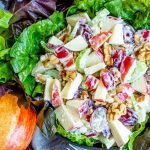 Today I am going to try to modify this recipe with fresh cranberries and either almond extract or orange zest. I can’t decide! Tried these for the first time. Followed the recipe as per the video but they are soft like a cake vs a scone. I baked them in the oven for 20 minutes. Perhaps a little longer next time and more almond flour as they were quite sticky and i couldnt get them in the triangle shape. I had the same problem as everyone else. They fell apart and I cooked them longer than stated. I’m wondering if adding a little flax meal would help them stay together better? Hi Debbie, I’m not sure why half of the people have problems making these and the other half don’t. I have made these several times and never had any issues. The video posted is the last time I made them. I’m sorry I don’t have any suggestions for you. If the flax meal works for you, let me know. Just pulled these out of the oven. They are cooling now but the bite I had was yummy. Used almonds I ground to “flour” and only 3 tbsp. Stevia. They are pretty sweet so I may cut the Stevia back to 1 tbsp. next time. Just wanted plain vanilla so left out blueberries. I kind of wish I hadn’t made these because I am going to want them all the time. Added a few chocolate chips to a couple to make them more appealing to my kidlets. Can’t wait to dunk one in my coffee!!!! Thanks so much for the recipe! I feel like the wet ingredients (including the butter) should be mixed together before being incorporated into the dry? Mine had clumps of butter and I had to remix, they also “melted” together in the oven, not sure what I did wrong…..